→How Can I Determine Which Speaker Is The Best Fit For My Car? A car fitted with best quality speakers can improve the overall performance of the sound system and immerse the driver together with the other car users in a pleasant atmosphere. Finding the right speakers to fit your car sometimes may be tricky and confusing. Many consumers look for an upgrade of the car speakers because of volume, sound quality, and tonal range. It is always advisable for consumers to understand the benefits of a new sound system arrangement before purchasing it. You also must understand how one piece that comes with the system works with the other. It may be hard for an ordinary buyer to determine the right speaker setup for their vehicle, ways of purchasing it and even how to install it due to the equipment upgrade. Some speakers consume a lot of power, and in such cases, an amp is needed for quality feedback. Also, the type of speakers, the setup and the number of speakers determines if a new receiver or head unit is necessary. Why Aftermarket Over Factory Speakers? Majorly, in the audio mobile world, it is very crucial to think about the size of car speakers and the category than the actual size. 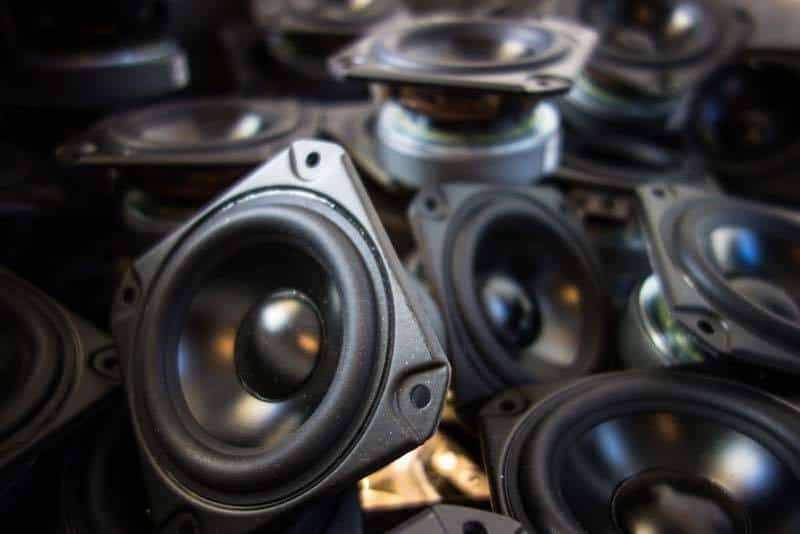 Before you purchase for aftermarket speakers to replace with your car speakers, you have to take into account some information; these include the measurements of the speakers and the manufacturer's details to determine which size fits well in your car. It is not just about the diameter of the speaker's cone or the cutout diameter. Figuring out the size of your car's factory speaker tends to be tricky most of the times. There is always a difference between the factory speakers and the aftermarket speakers. Factory speakers are designed to fit in the overall design of the vehicle entirely. And, getting to that factory speaker to get information or actual size requires some work, because, when it is under the grill or door panel it proves to be tricky. Tweeter Speaker - There are different types of tweeters speakers, for example, Cone, Piezo, Plasma, Horn, and others. They are the smallest speakers in standard audio setup. They create high pitched sound and produce very high frequencies. Mid-Range Speaker - Examples include Cone, Compression Horn, and Dome. They are second n size after tweeter speakers in the audio system setup. They produce middle-frequency sounds. Full-Range Speakers - This includes either a two-way speaker incorporating a tweeter and woofer or three-way speaker incorporating a tweeter, a mid-range, and a woofer speaker. It can work without any other speaker components due to its full frequency range. Woofer and Subwoofer - They include band-pass, horn-loaded, bass reflex among others. The size of the woofer determines the frequency results. The larger the woofer, the lower the frequency, and vice versa. Amplifier - Examples include mono, two-channel, five-channel, six-channel and multi-channel. These are supplemented units in the inbuilt amplification facilities. Capacitor - They supply energy to the car amplifiers on a short-term basis especially when the main power capacitor is overloaded. They vary in sizes; they are available from 0.5 farads to over 100 farads, depending on the system requirements. Head Unit - Also called the Receiver; it is usually installed on the vehicle's dashboard. Examples include CD or DVD players, tape players, hard disc drives, HD radio, and many others. Before installing the car speakers, it is advised to keep all the essential tools such as socket wrench set near around you. If the receiver in your car is satisfactory, you don’t need to replace it when purchasing for new speakers. However, if the factory speakers are not producing the right sound or maybe they are not powerful enough; reason could be perhaps they don't have the proper types of equipment. In this case, an aftermarket head unit is needed. After installing the head unit or receiver, that is when you will decide the right speakers for your car and the speakers you pick will determine if you will need an amp or not. Rap and R&B music requires at least two subwoofers in the trunk (small or large), two woofers in the front kick panels, a two-way full spectrum set of speakers fitted in the rear of the vehicle, at least one tweeter speaker installed in the front door panels and a mid-range speaker. Rock Music At least two small subwoofer mounted in the trunk, a pair of mid-range speakers fitted in the front door panels and another pair of tweeter speakers in the dashboard. For Pop music lovers a pair of three-way high-quality full-spectrum speakers both fitted in the front kick panels and an addition of two full-spectrum speakers in the rear of the car. The above are also some of the things you need to put into consideration before you decide what to replace in your car. Also remember, for subwoofers and woofers to produce the most accurate sound, they need their own amps. The right sound system choice for the right music that will fulfill your desire depends on your car type, your budget, your genre and what you prefer. You can purchase your speakers from electronics shops or online shops. It is also good to compare price from different retailers before you settle on a system of your choice.